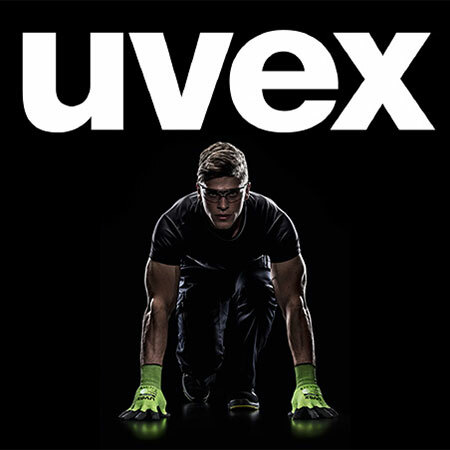 Uvex is one of the world’s leading manufacturers and innovators in the field of personal protective equipment (PPE). An early core competence in safety eyewear has been extended to span a complete ‘head to toe’ PPE range characterised by innovative, high quality product solutions. The centre point of our research and development programmes is the dual objective of creating measurable ‘value-added’ in product performance and a high degree of wearer acceptance. Over 85% of our products bearing the uvex brand are produced in 100% owned uvex manufacturing facilities located across Europe. This relatively unique situation enables uvex to ensure the highest level of quality control and capacity management safeguarding continuity of supply to our customers. An important secondary benefit of manufacturing within Europe is that our carbon footprint is minimised.